[Economic Times] MUMBAI: In what is seen as a step towards closing its proposed investment plans in Jet Airways, Etihad Airways on Wednesday said it has paid $70 million to buy three slots of the Naresh Goyal-promoted airline at Heathrow airport in London. “Etihad Airways can confirm that it has concluded a transaction with Jet to purchase Jet’s three pairs of Heathrow slots for $70 million. The purchase is part of a sale and lease back agreement signed yesterday,” Etihad said in a statement. The statement further said Jet will continue to operate flights to London utilising these slots. 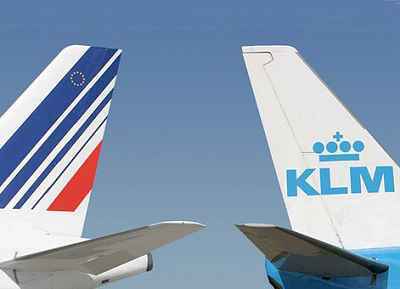 The deal further strengthens the existing commercial relationship between the two airlines, which came into effect in July 2008, making provision for code-sharing, Etihad said. On the ongoing stake sale talks between the two, Etihad said they continue to progress with discussions about further investment in Jet. However, on the 24 per cent proposed stake sale toEtihad, Jet sources said, Jet has reportedly agreed to cede more management control, including more board positions to Etihad. However, this could not be officially verified with either Jet or Etihad officials. Read the full story at The Economic Times of India…..
Emirates Announces Codeshare with JetBlue offering seamless connections available at JFK to a dozen U.S. cities. 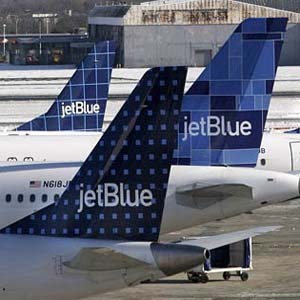 Emirates customers travelling to the United States will soon enjoy seamless connections to a dozen U.S. cities, after the airline announced the start of a one-way codeshare with JetBlue. The codeshare will further strengthen the relationship between Emirates and JetBlue. The two airlines have been interline partners since 2010, enabling customers to enjoy the convenience of a single combined ticket for Emirates and JetBlue-operated flights, plus other benefits including one-stop check-in and baggage transfer. Boston (BOS), Burlington (BTV), Buffalo (BUF), Charlotte (CLT), Chicago (ORD), Fort Lauderdale (FLL), Jacksonville (JAX), Orlando (MCO), Portland Maine (PWM), Raleigh/Durham (RDU), Tampa (TPA) and Washington Dulles (IAD). At JFK Airport, Emirates operates from Terminal 4 while JetBlue operates from the adjacent, 26-gate Terminal 5, allowing for easy connections between flights. In addition, the Quick Connect service available at JFK makes transfers even more hassle-free. Available to all customers with a confirmed onward flight departing within three hours of their Emirates’ flight arrival, Quick Connect enables customers to advance to the head of a specially designated passenger security checkpoint lane at their connecting terminals. The service also extends to baggage, with Emirates arranging the transfer of baggage on to the connecting flights. Read the original story at the Dubai Chronicle…. Shanghai Airport: An Etihad Airways aircraft that landed at 11:28am from the United Arab Emirates was heading for the terminal and had to stop because of a group of more than 20 angry passengers. The passengers refused to board an plane at Pudong International Airport in Shanghai then took their protest onto the taxiway to demand compensation for their delayed flight, airport and airline officials said. Shanghai airport authority said that airport officials quickly managed to persuade the passengers to leave the taxiway and took them back to the terminal. The whole process lasted about five minutes and the incident didn’t otherwise affect flights at the airport. The airport said the passengers, who are now under investigation, were among 161 people whose flight from Shenzhen, in southern China’s Guangdong Province, to Nanjing was delayed by poor weather on Tuesday evening. The Shenzhen Airlines’ Flight ZH9817 had been scheduled to land in the eastern city of Nanjing at 6:50pm and then fly on to Harbin in northeastern China’s Heilongjiang Province at 10pm, said Li Weiqi, an airline spokeswoman. But on the way to Nanjing, the Airbus 320 encountered a thunderstorm and had to land at the Pudong airport at around 8pm. The airline put the passengers up at a nearby hotel and agreed to arrange other flights the next day to take them to Nanjing or Harbin when the weather cleared, Li said. “The airline officials have done all that they should do when encountering bad weather,” she said. Most passengers took another flight to Harbin, while the remaining 40 were due to leave for Nanjing at 11am yesterday, but more than 20 of them refused to board the plane and demanded the company compensate them for the delay, according to the airport. “Since no one was coming up to solve our problem, we decided to rush to the runway,” a man who said he was one of the passengers wrote on his microblog. The passengers’ behavior stirred public anger online with accusations that by acting selfishly the group had put other passengers’ lives in danger. “Trying to block other airplanes just to get some compensation for flight delayed by poor weather? Shenzhen Airlines later agreed to pay compensation of 1,000 yuan (US$158.5) to each of the passengers on the delayed flight. But the protesters’ victory could be costly. The passengers who went onto the tarmac could be detained for five to 10 days with fines and might face criminal penalties of up to five years in prison under Chinese law, said Liu Chunquan, a senior lawyer with the Panocean Law Firm in Shanghai. “The passengers should be punished because they have threatened the safety of hundreds of other passengers by rushing onto the runway,” Liu said. The airport should also take some responsibility because its staff failed to stop the passengers from leaving the terminal and entering the taxiway…. Read the full story at ShanghaiDaily.com…. Revenues at Etihad Airways increased 28 percent in 1Q2012 to US$989m, it was announced today, signifying the UAE carrier’s best ever quarterly performance. During the three-month period ending March 31, the Abu Dhabi-based operator also carried 2.4m passengers, an increase of 500,000 compared to the year ago quarter. Etihad also said it was launching a new services to as-yet unnamed destinations in South America and Vietnam next year. CEO James Hogan, presenting the results at a roundtable event today, said the performance was “the best quarter in terms of revenues” the company has had. Hogan claimed that based on the latest revenues Etihad was on track to become a US$5bn per year company by the end 2012. “Despite tough economic times we believe our business model of organic network growth combined with codeshare partnerships and strategic equity investments will enable us to continue to prosper and ensure sustainable profitability,” Hogan added. Revenues derived from air cargo operations were up 12.2 percent to US$159m during the quarter, Hogan said. However, he also warned of the impacts of fluctuations in fuel costs on Etihad’s future performances. “Fuel prices are are our largest variable cost and they were tracking higher than 2011. We remain committed to an active fuel hedging strategy. 80 percent of our first quarter’s fuel costs were hedged and we currently have 74 percent of fuel costs hedged for the rest of 2012,” Hogan added. Etihad posted its first ever profit in February 2012, when it reported a full year net income of US$14m for 2011, based on a 36 percent increase in revenues to US$4.1bn. Read the full story at arabianbusiness.com…..